This PNW native family now lives in the hot and dry state of Arizona. And although they love their new home, they do miss some things about the Seattle area - in particular all of the greenery. While visiting this summer they decided to take advantage of their vacation time with new family portraits. And we picked the perfect Snohomish location for their session - just full of green trees and grass! I always get excited when I hear from previous clients but I was SUPER excited when I heard from this couple! Why was I so excited? Well, they told me they were having their first baby! You see, I photographed their wedding three years ago and there is just something magical about being with a couple on their most important day. 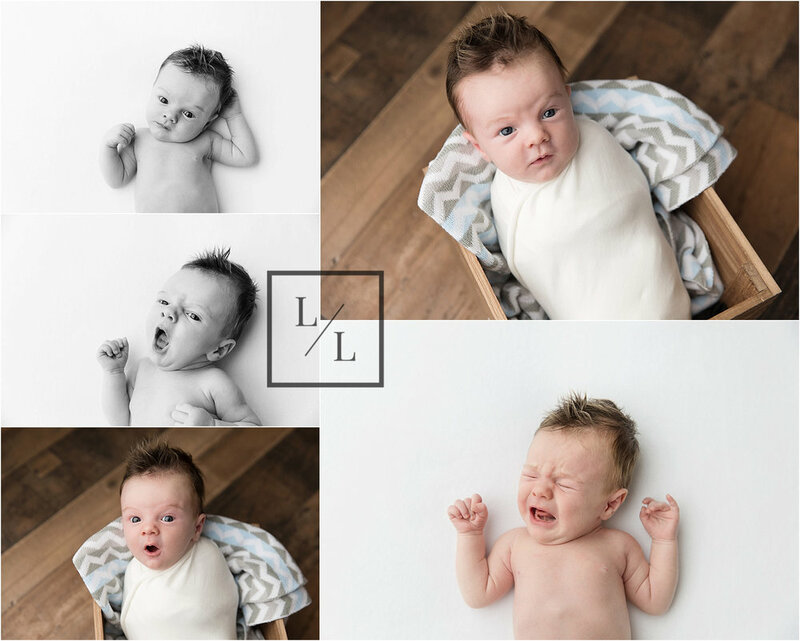 So I felt even more honored when they trusted me with your newborn and first family portraits! After seeing their images, they chose this BEAUTIFUL 11x14 Glossy White Keepsake Portfolio Box. The box is filled with 20 of their favorite printed and matted portraits. The box itself acts as storage and a display and it also comes with a display easel! There were so many great things about this newborn session but my two favorites things were Dad’s tattoos and that awesome head of hair on babies head! Seriously he had the best hair - you can’t really tell from these pictures but his hair was brown and the ends were blonde! It looked like he had highlights! Oh my goodness you guys - this little one wins the award for “best hair” for sure! Having just moved to Snohomish, this family really wanted a local setting to commemorate their recent move! We chose the Centennial Trail and the Pilchuck River - both very local and very “Snohomish” locations! The river is also a super fun location for families with kids - as long as you don’t mind the kids getting a little wet! First birthday parties are always pretty cute but this one definitely takes the cake! With inspiration and products from the Party Dialect store, the party was full of color and whimsy. And who doesn’t love rainbows and unicorns?! 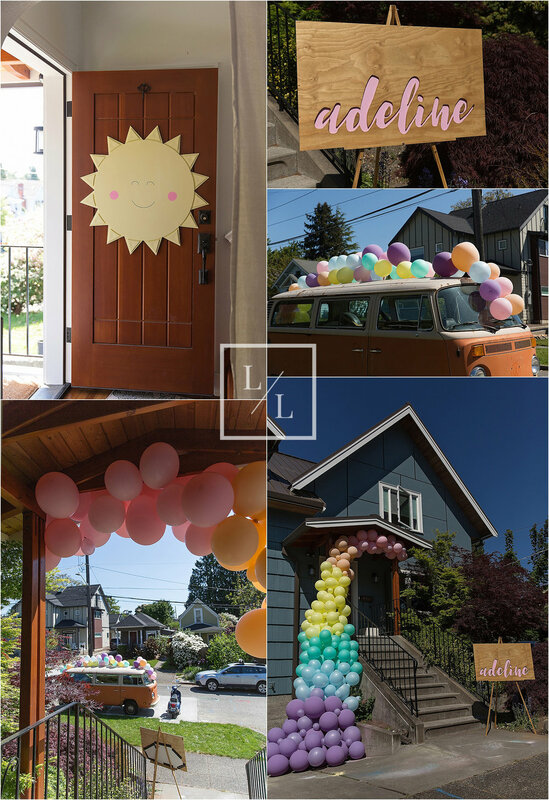 There are so many things to love about this party…..the wooden door sign shaped as a sun, the amazing outside and inside balloon structures, the custom signs with the birthday girls name, the super cute party decorations and did you notice the hand made backdrop for the cake smash? I wanted to sneak it out the backdoor so I could use it in my studio - it was that beautiful! Before the party, we also snuck in some new family portraits. It was an all over great day!